If you’re brand new to blogging then I think you’ll agree that it can be really confusing at first glance. There’s a lot of different ways to do things, but with a little guidance you’ll see that if you use WordPress to run your blog it’s not so bad after all. In this article I’ll teach you the basics about WordPress, the world’s most popular blogging platform, in a simple Q&A format. 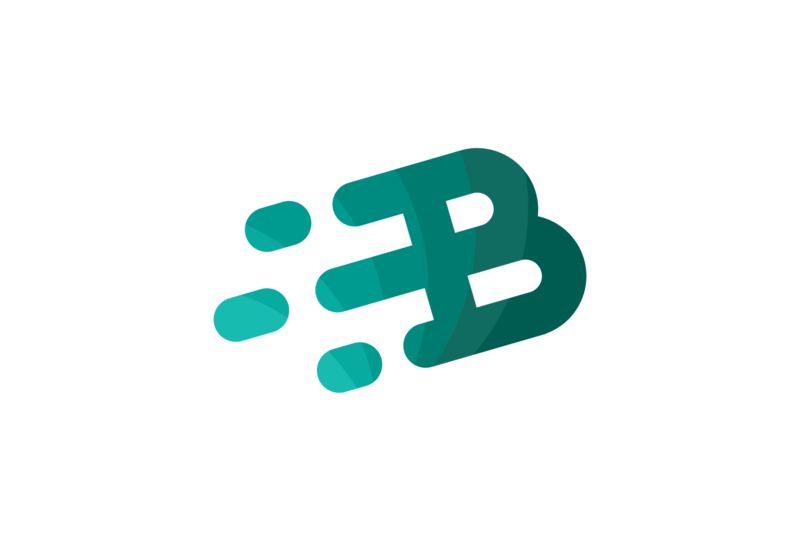 A lot of times you’ll see people talking about a “blogging platform” in tutorials, so let’s start with a simple definition: a blogging platform is a piece of software that lets you publish blog posts for the world to see. Some blogging platforms are owned and run by companies (think Ghost, Medium, Tumblr, Weebly, Wix, WordPress.COM, etc.) but they cost money and many features require additional plan upgrades. If you want to be a professional blogger or own your own website without any restrictions, using WordPress.ORG is really the only choice unless you know how to write code. 27% of the entire Internet uses WordPress, so lots of different sized organizations use it. People with personal blogs (like me) use WordPress as do big media outlets like The New York Times and corporations like Mercedes Benz. Check out the WordPress Showcase for a giant list of brands you know and love that use WordPress. The core WordPress software itself is free, but if you want you can chose to pay for themes, plugins, images, or anything else you want. If you use WordPress you’ll have to pay for web hosting to connect it to the Internet. Web hosting is basically just renting a computer that is configured to display information it on the Internet and it costs about $10/month for a decent host (I’ve been using Dreamhost since 2006). Additionally, you might choose to pay for themes, plugins, images, or more depending on what you’re trying to do, but for a simple blog you can start for under $20 with no real commitment. Where do I get WordPress? There are two different ways to start using WordPress. If you want to go this route, you’ll need to go to WordPress.org (notice the .org) to download the software and then follow their instructions to install it in under 10 minutes. If you don’t want to install WordPress yourself you have a ton of options because almost every web host has a way for you to set up WordPress without any technical knowledge. If you use Dreamhost like I do, you can install it in under 10 minutes with the click of a button. What features does WordPress have? I think the best way to understand each of the different types of blog posts is to experiment! When someone visits your blog and reads an article they might have a question or a comment. Unless you disable it, WordPress let’s people leave comments on your blog posts. We’ve all been to blogs that have a ton of spam comments so it’s important to moderate your comments. I use the Akismet plugin to flag spam (it comes pre-installed with WordPress) and I also changed my blog’s settings so comments don’t get posted until I approve them. This makes the URLs a little easier to remember and a simple URL structure is an important factor for improving your blog’s SEO. It’s important to have your content organized to make it easier for people to make sense of. WordPress has a “menu builder” feature that lets you create menus for different areas on your blog. The top navigation and the sidebar for this blog were built using the menu builder. This site’s navigation is pretty simple, and although you can do complicated things with the menu builder, you probably shouldn’t so it’s easier for your readers to navigate your blog. Want to let your friend write an article for your blog? You can create a separate account for them so they can do just that. Even better: you can control what they are and are not allowed to do on your blog by setting account permissions. This way you won’t have to worry about them changing things they shouldn’t be. Having multiple authors on your blog is a great way to increase your content without you writing blog posts every second of the day. A great way to get free publicity for your blog is to have other bloggers write a guest post on your blog. This lets them expose their brand to your readers and in exchange they’ll promote their guest post on your behalf which can result in you getting new readers. Once that page is built and published, it wouldn’t change until you updated it. Depending on the theme your blog uses, designing a static page can be really easy especially if it comes with a page builder. A plugin is a piece of software you install into your blog to make it do something new. A plugin can enhance existing functionality or it can introduce new functionality. Plugins are what make WordPress so powerful because they can make it do anything. Earlier in this post I mentioned that I use Akismet to fight spam when people post comments. This functionality is built on top of WordPress and can be added or removed whenever I want. There’s a ton of different plugins available, so if you need to add a piece of functionality to your blog there’s probably a plugin for it that already exists. This is WordPress’ most fun aspect. Themes are what make your blog look the way it does; they are basically your blog’s skin. In slightly more technical terms, a theme is a collection of code that displays the content in your blog using theme files (written in PHP) and stylesheets (written in CSS). Themes can be free, but the really good ones aren’t. I paid $250 for the Divi theme to use on this blog even though I’ve been writing code for nearly 20 years because it saved me a bunch of time and it’s really powerful. You don’t have to pay anything if you find a free theme you like, but if you want to really customize your website you probably will eventually. Not all themes are created equally, but we’ll talk about that another time. A widget is an area in a theme that lets you specify the content that should be displayed. Usually widgets are found in a theme’s sidebar, but that can change depending on the theme. Plugins might come with a widget that you can then have your blog display. “WYSIWYG” (pronounced whizz-ee-wig) is an acronym for “What You See Is What You Get”. This means a WYSIWYG editor is a visual text editor. Have you ever used Microsoft Word? When you press the “bold” button your text looks bold, and you didn’t have to write any code to make it do that. Same thing with WordPress’ WYSIWYG editor. As you can see, WordPress can do almost anything you want it to. It’s used by small “mom and pops” bloggers and it’s also used by huge media companies and corporations. 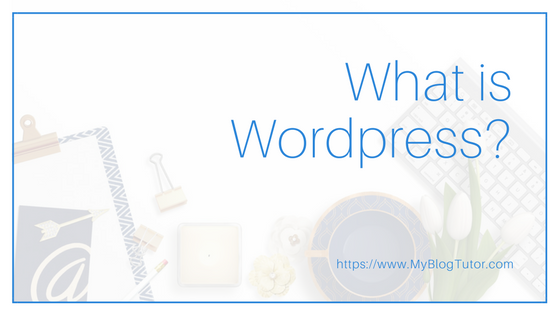 WordPress has a ton of features and a large community. Best of all, WordPress is free! Your assignment, should you choose to accept it, is to go install WordPress and start building your blog. Remember, anybody can have a successful blog that generates income, but most won’t because it takes time and effort. Get started now because with anything success doesn’t happen overnight!